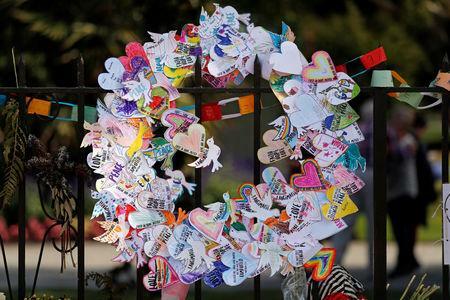 WELLINGTON (Reuters) - After days of intense grieving for New Zealand's worst-ever mass shooting, attention began to turn to how the country's gun laws need to change and what warning signs might have been missed ahead of a gunman's attack on two mosques that killed 50 people. 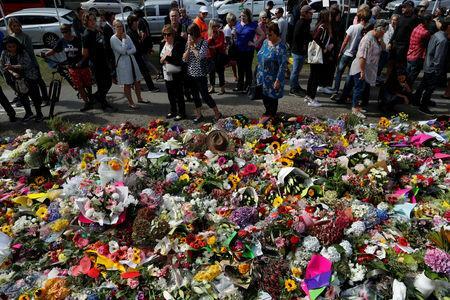 Bodies of the victims of Friday's attacks in Christchurch were being washed and prepared for burial in a Muslim ritual process, with teams of volunteers flown in from overseas to assist with the heavy workload. Prime Minister Jacinda Ardern said her Cabinet had made in-principle decisions on changes to gun laws which she would announce next Monday, saying now was the time to act on tightening access to firearms. Simon Bridges, leader of the opposition National Party, said he wanted to get details of the changes to see if there could be bipartisan support in Parliament. The National Party draws support from rural areas, where gun ownership is higher than in urban areas. "We know that change is required. I'm willing to look at anything that is going to enhance our safety - that's our position," Bridges told TVNZ. Australian Brenton Tarrant, 28, a suspected white supremacist who was living in Dunedin, on New Zealand's South Island, was charged with murder on Saturday. Tarrant was remanded without a plea and is due back in court on April 5, where police said he was likely to face more charges. Andrew Little, the minister who oversees New Zealand's intelligence agencies, said monitoring of online activity had been stepped up in the wake of the Christchurch attacks. "There are people who have been online making statements who have been interviewed by the police; that will continue. There is a level of intervention, there is a heightened level of monitoring," Little said on TVNZ on Monday night. Ardern said there would be an inquiry into what government agencies "knew, or could or should have known" about the alleged gunman and whether the attack could be prevented. "We have to know whether there have been failings, whether there have been gaps," Little said on TVNZ. "We have to leave no stone unturned to not only deal with the perpetrator and ensure the criminal justice system gets to deal with him, but to understand how this could have happened in this country." 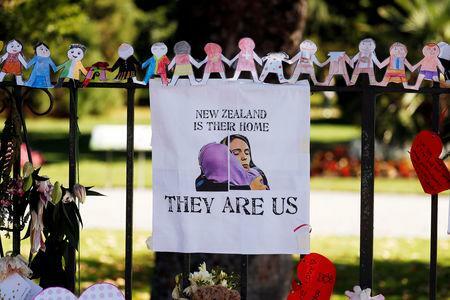 More than 250 New Zealand police staff are working on the inquiry in the attacks, with staff from the U.S. FBI and Australia's Federal Police working with local investigators. In the wake of the deadly attack, other incidents were drawing scrutiny. A gun club in the northern town of Kaitaia burned down early on Tuesday morning, and police were treating the blaze as suspicious. A bomb hoax that closed Dunedin Airport on Sunday night and caused some flights to be diverted was under investigation, police said. A black laptop bag was thought to have been bought onto the airfield by someone climbing over fences around the Dunedin airport. Police found a note written by the person who left the "hoax device," which was dealt with by defense force experts. "The insensitive nature of this act in light of recent events cannot be overstated," police said in a statement.